Hello Black Friday! It's that time of year, yet again, where everyone goes totally wild and crazy for the hottest deals about. 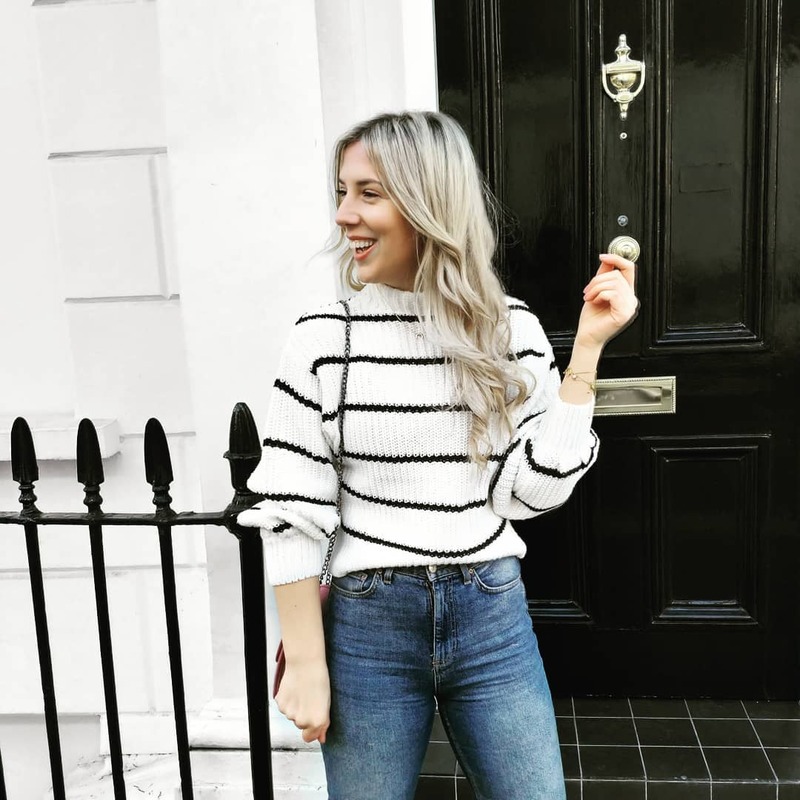 My post on the ultimate Black Friday deals and discounts went down a storm last year so I thought it'd be rude not to share some of my faves this year too! 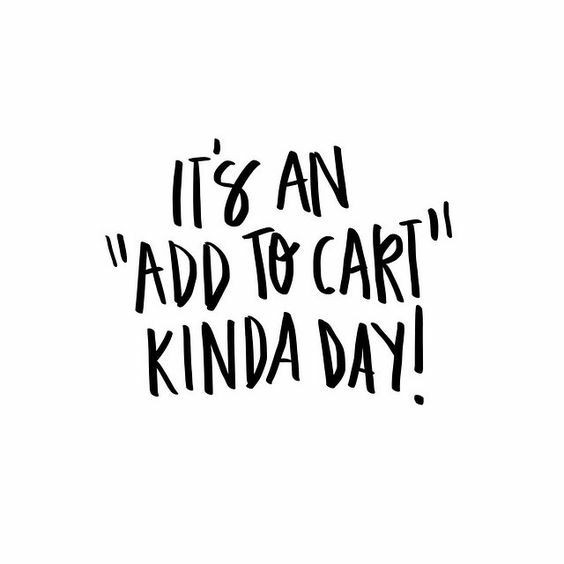 Go wild, as this nice little quote says 'it's an "add to cart" kinda day' and I don't need to be told twice... Black Friday deals seem to be starting earlier and earlier with some of the stores I popped by at The Grove whilst I was in LA last week (more on that next week) starting theirs a whole week in advance of the actual day. So shop for me and tweet or insta me to let me know what bargains you've picked up on this mad Black Friday!! Aldo have a very tempting 50% off all their styles - across both bags and shoes! I mean if I hadn't got three pairs of boots in my basket, (this navy velvet pair, these chelsea boots and this knee high pair) would I even be me?! Hello heavenly candles and ALL the interiors inspo a gal can dream of. Anthropologie have 20% off everything + FREE delivery with code 'ITSYOURS'. Simply shop everything here, including all the statement earrings and monogrammed marble cheese boards a girl could ever need - you're welcome! Take 20% off EVERYTHING at ASOS with 'WIN20'. I repeat, this is not a drill go - go - go! Boden's 30% off with code 'N6D5' is the perfect excuse to finally pick up the pair of cashmere socks you've been dreaming of. Shop Boohoo's Black Friday Sale with 50% off absolutely everything on their site now, seriously - go! Coming soon, I've just checked again (it's 5 to 1 in the morning - thanks jetlag!) and Boots' Black Friday Deals are yet to be announced... it's still worth clicking though as we know they'll be good 'uns! Take up to 40% off your Christmas party wardrobe (including my beloved metallic trousers from yesterday's post!) with Coast's Black Friday discounts, shop here. Get everything from your winter coat to NYE dress in Dorothy Perkins' up to 50% sale. There's up to 40% everything on House of Fraser's site - there's no code as the discount is automatically applied to ALL the products. Pick up everything from a half price Clinique beauty set to a Le Creuset starter kit. Shop here. Never knowingly undersold John Lewis crush Black Friday. With special offers across all departments this Black Friday there's up to £240 off Dyson's and 17% off Tom Ford it's well worth a browse. Get up to 50% off everything at Joules - my favourite red knit is now under £50 and these adorable chelsea boots are under £100! Click here to shop. So I've gone in heavily on La Redoute's 50% off Black Friday deal. I bought my parents 'the rug' you'll have inevitably seen all over insta as it's perfect for their lounge and this glitzy table incase you were curious. Use code 'BLACKFRIDAY' at the checkout and shop now! Take up to 60% everything at Laura Ashley this Black Friday. There's nothing to really report for my beloved Marks & Spencer's this Black Friday except their lovely 3 for 2 offer on Christmas gifts. They've got some lovely bits if you want a nice break and maybe a monogrammed gift, or two (they've gone all in). There's 50% off the whole of Miss Selfridge RN. Shop here. Use code 'CYBER50' to shop 50% off everything this Black Friday at Missguided. Simply click here. Let's go! Literally, use code 'LETSGO' to get 30% off everything and £1.99 delivery at Nasty Gal this Black Friday. Say hello to 25% off everything at New Look this Black Friday, no code needed. Shop glitzy ankle boots and partywear now. Take 20% off my favourite boots (these guys - here) at Office, use code 'SHINE' and shopshopshop. Grab your 2018 diary early this year with 20% off Paperchase with code 'BLACK20'. So there's 20% off Superdry this Black Friday with code 'BLACK20' and it's almost inevitable that I use the discount to pick up my fave coat (here on me and here on site) for my Grandma as she's so keen for her own peacoat. Shop here. With 30% off until midnight Monday Ted Baker's Black Friday offer is more than tempting. There's no code needed - simply click here to shop. Up to 50% off Topshop is something reallllly hard to resist, with or without Black Friday. We've all got an on-going Topshop wish list - this is the optimal time to treat yourself to something from yours. Always one to mix it up a little Urban Outfitters have a fun 'buy one get 50% off everything offer' running both instore and online. Simply mix and match your favourite pieces here. Take 25% off your favourite designers this Black Friday at Very Exclusive. Pick up a Kenzo clutch for under £70 ahead of your Christmas party, or a pair of Ugg slippers for cosy nights in watching Christmas films. There's SO much! Get up to 50% off everything at Zalando - with great discounts on Barbour jackets, Levi's and Vans. It's like ASOS but with more discounts than you can imagine this year! The Bestreplica watches. Here you can find almost swiss brand replica watches.Replica watches,one of the most famous brands,replica rolex watches ,Specialities watch for sale,Fast delivery and free shipping! with replcia watches uk her 44-year-old son, Kristian Lee Baxter, for rolex replica a month, according to the report.